These are photos and information about each of our kids. There are many ways you can help. 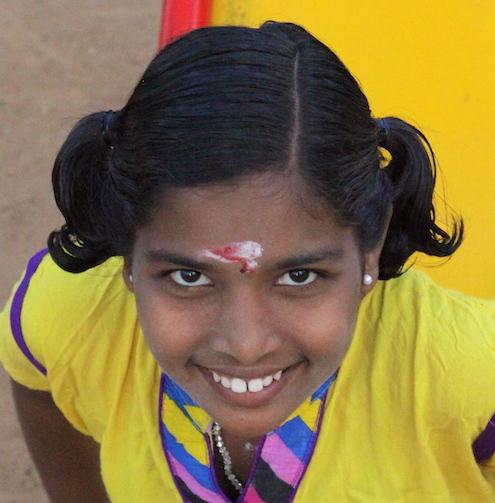 You may sponsor a child by donating monthly, make a one time donation or come and visit us in South India, meet and play with our children! Please click on the projects page above to see where your money will go and how you can help. Many people ask us how we find new children or how they find us? 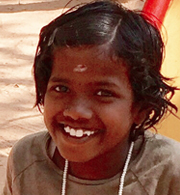 Every orphaned or poverty stricken child in India has to be accounted for and documented. 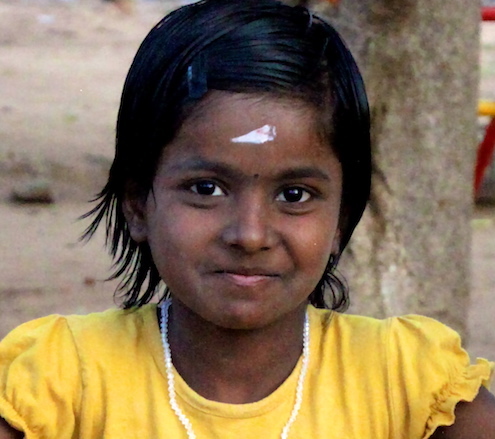 We sometimes go to a Village Head in surrounding villages and ask if they know of any children in need. In the past we have had friends of Global Watch who find children in need. It may be a struggling widow or widower or perhaps a family living so remote and in such poverty stricken conditions that the child would never get an education. Yet before we accept a child they each need to be approved by the Child Welfare Office. The decision to place a child under government authorized care is backed up by further documentation in the form of interviews with neighbors and relatives etc. My name is Abignaya or Abbi as my brothers and sisters at Global Watch call me for short. My parents were fighting and my mother left us. My father was unable to care for me and so I was brought to my new home here at Global Watch in early 2016. My ambition is to become a doctor. I enjoy being at this home because I have a lot of new siblings as well as a new family. I have learned important values such as respect and discipline. I really enjoy our yoga and karate classes. My life here is very enjoyable and I am happy. 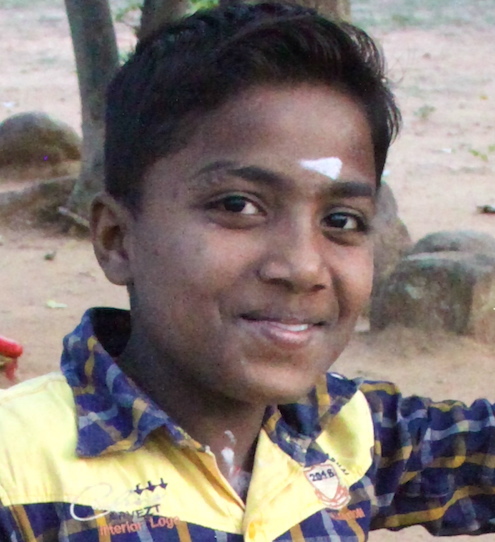 My name is Kalaiyarasi and I am 10 years old. 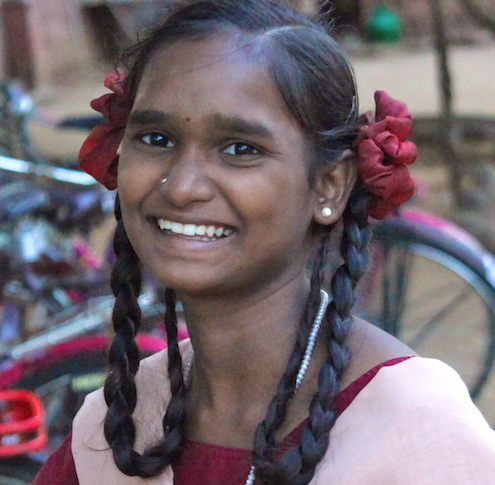 My father passed away due to an illness and my mother was unable to care for my sister Kruthika and I due to poverty. We came to Global Watch three years ago and this is our home and our family now. I am starting 7th grade soon and very excited to go to our new English school. My favorite game is running races and my ambition is to become an engineer. I am Kruthika. I am 14 years old and I am going into 10th grade. 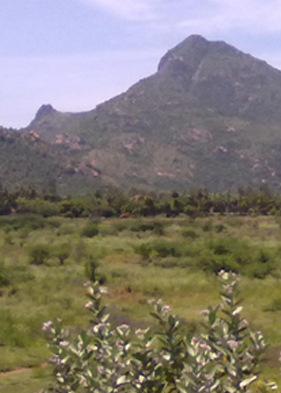 My sister Kalaiyarasi and I were brought here after our father died. I enjoy living at Global Watch because there are only positive feelings here. Everyone is my family here at Global Watch. I have learned discipline, neatness in both dressing and eating. My ambition is to work for the Indian Police Service. 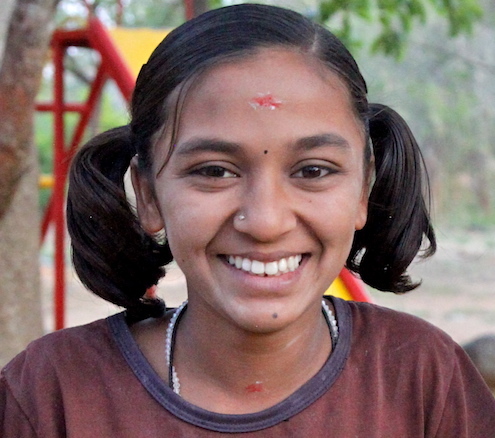 My name is Gopika and I am 9 years old. I came here as a baby in 2009 and Global Watch Foundation Children’s Home is my family. I am told that my father is unknown and my mother maintained contact with me only for the first 3 years. I love our House Mother Esther very much and sometimes she brings me to her home when the other children visit relatives during our summer vacation. I go to an English Medium School and am learning English. My best friend is Sundhiya, we are in the same grade, same school and she is my sister here at Global Watch Home. My name is Aishwarya but my nickname is Ice as my family here at Global Watch call me. I am 14 years old and going into 9th grade this year. I come from a very poor village and my parents were unable to look after me. I feel happy at Global Watch and I love the Karate and music classes very much. I am excited to be learning English and though I am nervous about changing schools, I am excited also. My name is Thrisha and I am from the Gypsy tribe. I love dancing and urging my brothers and sisters to move and enjoy music. My mother brought me here three years ago because she could not afford to send me to school. My mother makes jewelry. I am 11 years old and going into 7th grade. I love school and my ambition is to become a Teacher. 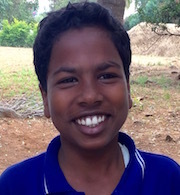 I am Suresh and I am 13 years old and going into 9th grade. My mother brought me to Global Watch because my father left us and she was not able to look after me. I love having brothers and sisters and I really feel good living at Global Watch Home. My aim is to be a police officer. 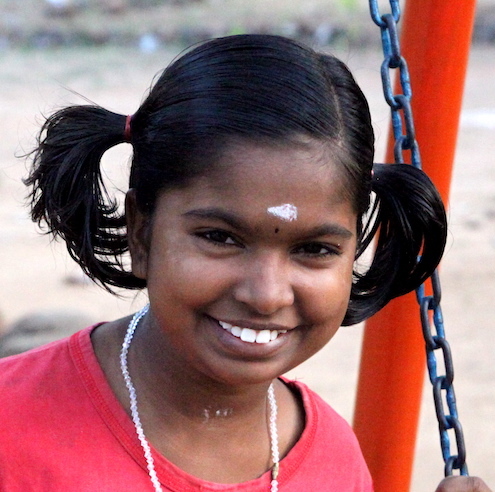 My name is Nayanthara and I am 11 years old and going into grade seven. My mother left us and my father was not able to look after me and so he brought me to Global Watch Home. I love living here with the other children, learning english and attending school. I want to become a police officer when I grow up. I also love to dance and sing. 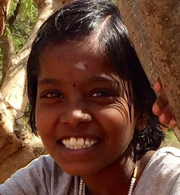 My name is Subashini and I am going into 8th grade. My father left the family and married another woman. My mother was distraught and brought me to Global Watch Home in 2014 so I could have a good future. My aim is to be a Police Officer. I am Varalakshmi but everyone calls me Varsha. I came to Global Watch Home in 2014 after losing both of my adopted parents in a car accident. I recently completed my first year in College. 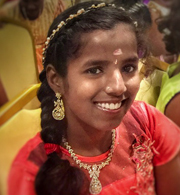 I want to become a teacher and social worker so that I can continue to live at the Children’s Home and give back to the home that has given me so much. 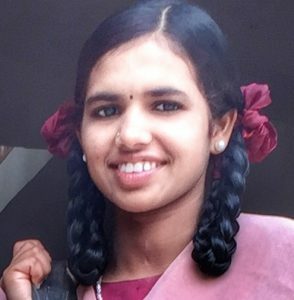 My name is Jothi and I am 17 years old and just finished my first year in College studying Botany. My father passed away when I was young and my mother was unable to look after me and brought me to the first Orphanage when I was 9. I felt neglected there and I was unhappy and so I was brought to Global Watch in 2012. I feel very fortunate to have this home and family now. I love my brothers and sisters very much. I enjoy helping the younger children get ready for school in the morning as College starts daily at 1pm. I am Kanagasabai and I am 13 years old going into 9th grade. I came to Global Watch in 2014 after both my parents passed away. I love Global Watch Home because we do yoga, eat good food and learn to speak english. I also love music and art. My aim is to become a Military or Police Officer. 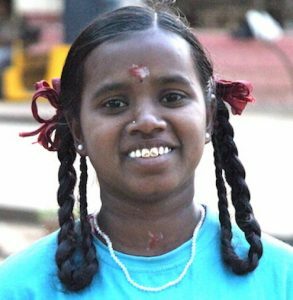 I am Elumalai and I am 14 years old. My mother brought me here to Global Watch after my father passed away. My mother wanted me to have a stable home, nutritious food and a good education. I love living at Global Watch Home especially all of the fun field trips we get to go on. My favorite trip was to the beach where I saw the ocean for the very first time! My ambition is to be in the military. 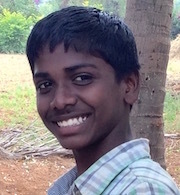 My name is Bharani and I am 15 years old and going into grade 11. I use to live in a very small and remote village and now I live in this large home with many brothers and sisters. I enjoy school and learning english. I love cricket and my ambition is to become a Policeman. 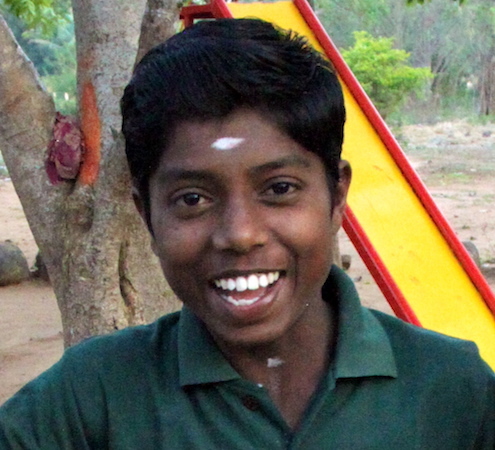 My name is Gopi and I come from a small village. My mother and father are not able to care for me and they wanted me to have a good influence and so they brought me to Global Watch Home. I love school and learning and my wish is to become an engineer. I am going into 11th grade. 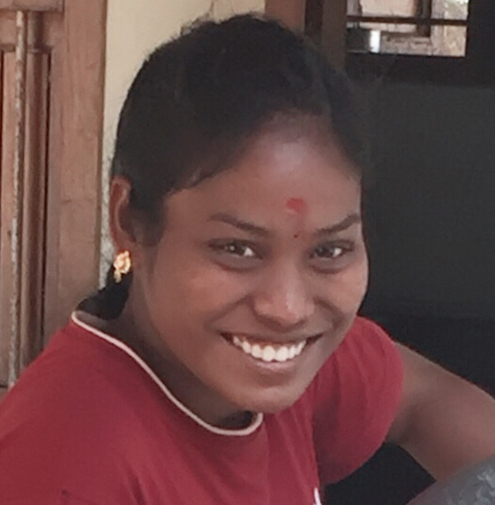 I have learned the importance of developing a good character and being a better person by living at Global Watch Home. I am Ramya and I am 14 years old going into grade 10. I lost both my parents due to illness and so my Grandfather brought me to Global Watch to help me to be happy. 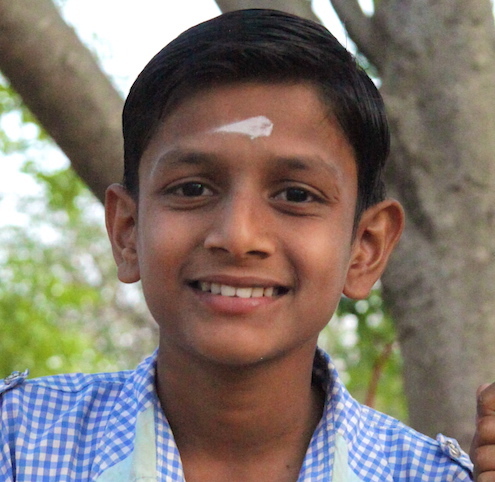 My goal is to become a teacher and I love learning english and going to school. I am very happy living at the Children’s Home. 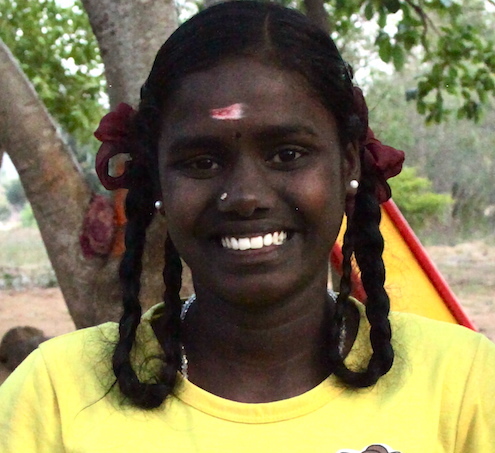 My name is Anandhi and I am 15 years old. My parents both passed away due to illness when I was 5 years old. My older brother is 20 and he just finished his 2nd year at College where he is studying law. He and I were raised here at Global Watch since 2007. In fact we were both at Mommy and Daddy’s (Corrine and Satya’s) wedding in 2008. I am going into 11th grade and I have worked hard on my English the past few years in preparations to attend the English Medium School and also eventually College in English. My current ambition is to be a software engineer but I also love singing very much. 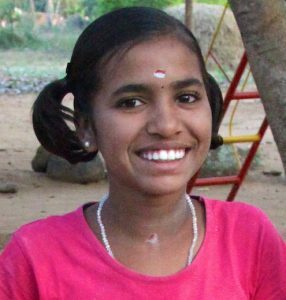 I am Ramya and I am 15 years old and going into 11th grade. My sister Ramba and I are originally from Pondicherry where our father passed away in the tsunami when we were very little. Our mother was unable to look after us and wanted us to be in a stable environment and good school. My sister Ramba and I are very happy living here with all our new brothers and sisters. My aim is to be a teacher. My name is Ramba and I am 11 years old and going into 7th grade. My sister Ramya and I came to Global Watch Home 4 years ago. Our father died when we were very young and our mother was unable to care for us. 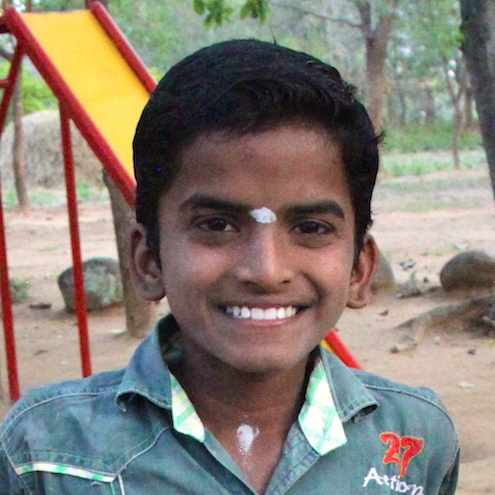 I love living at the Children’s Home because we have really nutritious food and I love the karate and yoga classes. I love to dance and sing. I also love watching Tamil and English movies. My aim is to become an engineer. My name is Sanjay and I am 13 years old, going into 8th grade. I am already at the English Medium school as my mother started my sister Sundhiya and I there. My father passed away and my mother is losing her eye sight and is no longer able to care for us. English is my favorite subject and I love my school. 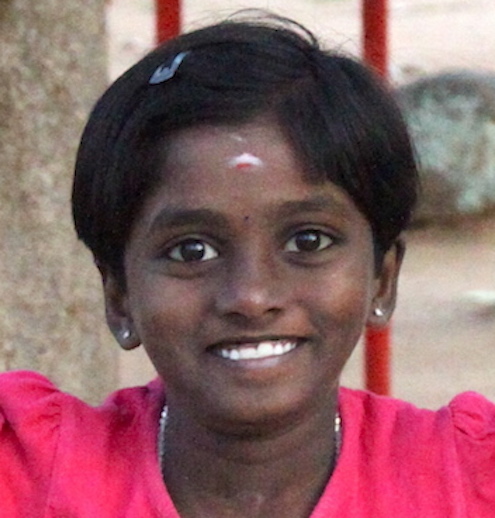 I am Sandhiya and I am 9 years old, starting 6th grade soon. My brother Sanjay and I have been at Global Watch for 3 years. Our mother brought us here after our father passed away as she is losing her eyesight. I already attend the English Medium school and I love it because I go there with my best friend Gopika.